Wildlife inhabiting the Monterey Bay National Marine Sanctuary. From Santa Cruz to Big Sur. 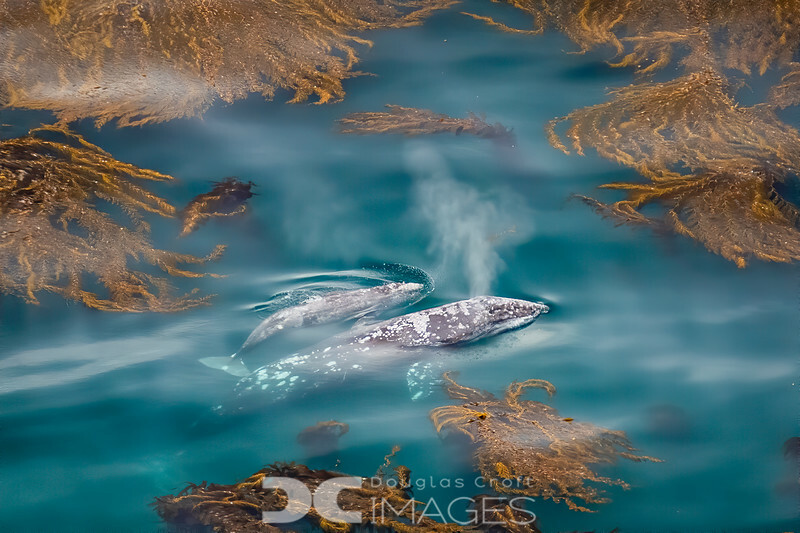 A gray whale and her calf are dwarfed by the kelp forests of Big Sur. They are migrating from the warm lagoons of Baja where the calf was born, to feeding grounds in Alaska. The cliffs in Big Sur give us a bird's eye view of this amazing spectacle.